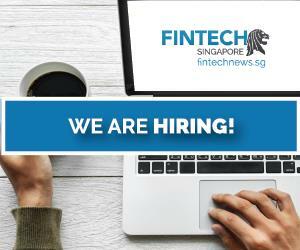 Alipay, the world’s largest mobile and online payment platform operated by Ant Financial Services Group, along with Global Tax-Free today announced that Chinese travelers visiting Singapore can now have tax refunds deposited directly into their Alipay accounts after completing all procedures at the airport. Singapore is the first country in Southeast Asia to offer this service to Chinese tourists. The move follows the signing of a memorandum of understanding (MoU) between Alipay and Global Tax-Free (GTF) last September. Through Alipay, Chinese visitors to Singapore can now receive their refunds in Chinese Yuan with shorter waiting time over credit card refund. This service covers all 2000 brands and merchants in Singapore under the Electronic Tourists Refund Scheme (eTRS). 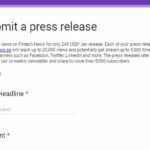 “The new tax refund service is a natural extension of our offering as a smart lifestyle platform for consumers and Chinese travelers. Alipay’s ecosystem of merchants covers shopping, dining, attraction, transportation and entertainment. 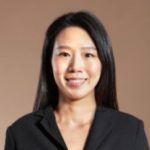 said Cherry Huang, General Manager, Cross-border Business for South and Southeast Asia, Alipay. “By working closely with Alipay to provide Chinese travelers more convenience and refund options, we will be able to better address the needs of these users and retailers. said Kelvin Poh, Country Commercial Head, Global Tax-Free. said Ms Ranita Sundra, Director, Attractions, Dining & Retail, STB. The new tax refund service is easy to use (see image below) and offers a shorter waiting time over credit card refund, which requires a lead time of up to 10 days. Through Alipay, Chinese shoppers can now enjoy a faster and more seamless refund process, as they can get their refunds in Chinese Yuan credited into their Alipay accounts immediately after completing the necessary procedures at the airport. 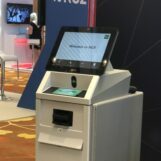 Alipay also offers a strong and favorable exchange rate that further enhances the overall shopping experience for Chinese visitors in Singapore. China is one of Singapore’s key markets for tourism. Based on statistics published by the Singapore Tourism Board, 2.86 million Chinese travelers that visited the nation in 2016 accounted for S$3.5 billion in Tourism Receipts, of which 43% was contributed by shopping. 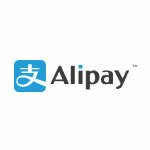 Alipay has rolled out the tax refund service in 20 countries worldwide, including South Korea and Germany. 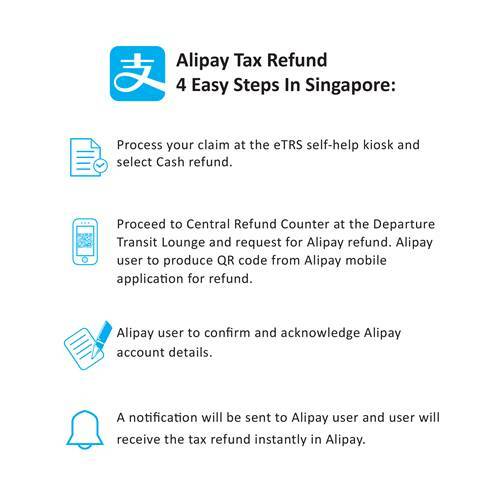 Singapore is the first country in Southeast Asia to implement the Alipay tax refund scheme. What do foreign tourists who have Alipay but do not read Chinese do when the refund is given. I went to Seoul airport and they scanned my Alipay QR code on mobile, but I still haven’t received anything yet. I never obtained the usual Alipay payment message in Alipay either.